2016 has been a rollercoaster of a year, but I’m going to take some time to focus on the ups instead of the downs. My debut novel, FLIRTING WITH FAME, came out in February. 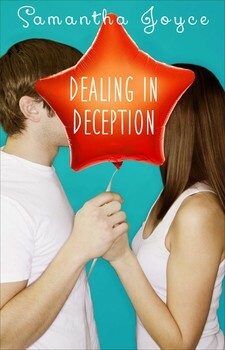 My second book (the stand-alone companion novel, DEALING IN DECEPTION) was released in November. I never thought I’d see a year where I would release one book, much less two. For so long, this crazy dream of being a published author seemed like an impossible achievement. But thanks to contests like Pitch Wars and the amazing writers I’ve met through it, I got to live my dream twice this year. I loved so much of the process – seeing my cover for the first time, getting my first pass pages, finding my book on Amazon…but my absolute favorite part of the entire thing was the people I met throughout. I was lucky enough to land my dream agent. I had an editor who loved my book as much as I did. Those would have been enough. But then I learned about the amazingly supportive writing community. Other writers actually want to support you and help you out when they can. I come from a theater background, where competition is both fierce and necessary. Not many people cheer for each other when they all want the same part. And finally, I got to connect with reviewers and readers. I don’t think there is anything like that moment a reader reaches out to tell you that your book changed things for them. When someone says, “Thank you for writing this.” all the years of sweat and hard work and tears feel validated. Those moments, in particular, are what I’ll carry with me into 2016 as I throw myself into new projects. I used to wonder if it was worth working so hard for this impossible dream, but now that I’ve caught a small glimpse of the other side, I know: IT IS. Happy Holidays, everyone! Here’s to a very good 2017! As an actress-for-hire, Veronica Wilde has made a living out of pretending to be other people. It’s the one thing at which she’s always excelled: taking on someone else’s personality and running with it. So after Elise Jameson, author of the bestselling Viking Moon series, decides she no longer requires Veronica’s services, she needs to find a new gig—and fast. But when her newest client hires Veronica to help him make his small business look more successful than it actually is, the sparks that fly between them are definitely not part of the act. Suddenly, Veronica finds she’s tired of playing pretend for a living. She’s been acting for so long, she’s blindsided by the one man who sees her for who she really is. And the most terrifying part? She might actually like it. Samantha has wanted to be an author since she picked up her first book and realized authors get to create new worlds with just a pen and paper (or laptop, if you will). She loves to write about romance because, as someone who married her high school sweetheart, she absolutely believes in true love. She also loves making people laugh and feels love and laughter go hand in hand. If she can make someone both swoon and giggle with her words, she considers that a success. When not writing or at her day job, Samantha can be found either singing and dancing on stage in local musicals, or at home watching geeky television shows with her husband.